Saturday, April 27, 2019 from 8 a.m. to 3:30 p.m. This is a single-day event held at the Lynnwood Convention Center. 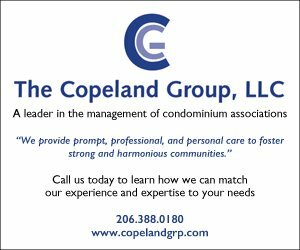 There will be several legal sessions taught by experienced attorneys who understand the laws that affect Condominiums and HOAs in Washington State. All registrants will be provided continental breakfast and a buffet lunch. A silent auction will be held throughout the day and the winners will be announced during the afternoon reception. The event includes 30 industry-related exhibitors. Net proceeds benefit WSCAI’s Legislative Action Committee (LAC). You can read more about CAI and our chapter’s advocacy efforts here. *Registration includes continental breakfast, seminars, lunch, trade show and reception. Your contribution is critical in helping WSCAI’s Legislative Action Committee (LAC) fulfill their advocacy mission! 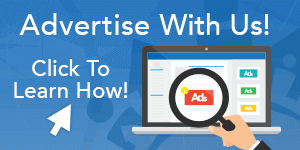 We regularly have clients wanting to break off a relationship with a vendor, where the association (or their manager) signed a contract without reading or negotiating any of the contract provisions. Frequently the ability to terminate the contract is very limited. Other clients will come in complaining because what they thought they were buying is not what they received (usually construction and service contracts). We will discuss types of contracts and what to look for so that you and the vendor have common expectations, and so you can exit a relationship when you need to. Appropriate for all community types. Contracting for services that you may not need or want. Vague or no specifications about work to be performed. 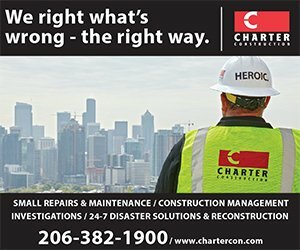 [2A] Hot water heaters, toilets and other sad stories of water damage between units: who’s responsible for the deductible & losses not covered by the master policy? Anthony L. (“Tony”) Rafel, Esq. Warning: this will not be another “dry” lawyer presentation; it will be all about wetness – that is, water events occurring between units in condominiums, and who bears the responsibility for repair costs not covered by the association’s master policy of insurance. This subject continues to bedevil boards, managers, unit owners and, yes, attorneys and insurance brokers alike. Nevertheless, attorney Tony Rafel and insurance broker Brett Nebeker will boldly wade into it and try to provide some clarity and guidance. What does it mean to say that the association’s policy is primary? How do standard declaration provisions allocate uncovered losses between owners and the association? Must the declaration be amended to alter the “default” and if so, what language should be used? Are there losses that are not covered at all under the master policy and, if so, who pays in those cases? And are unit owners covered under their individual HO-6 policies if the master policy deductible is assessed against them? If your brain hurts every time these issues arise in your community, this may be the presentation for you! 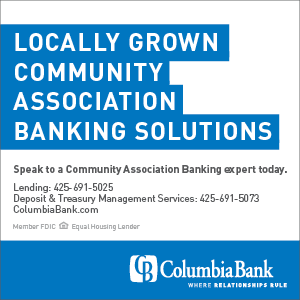 When the Washington Uniform Common Interest Ownership Act (“WUCIOA”) was enacted last year, a lot of people know that some “new law” went into effect, but appreciating the full effect of the change is going to take a good amount of time. The 135-page statute replaces both the Condo Act (RCW 64.34) and the HOA Act (RCW 64.38) for all Common Interest Communities created after July of 2018. And, as most people are starting to realize, some portions of WUCIOA actually apply to existing Condos or HOAs, including the budget and “opt in” sections. Join Barker Martin attorneys Marlyn Hawkins and Dean Martin to get a better understanding of what WUCIOA is, how it applies to pre-existing communities and considerations for “opting in,” as well as updates from the most recent legislative session. One of the challenges of managing older condominiums is that they may need major repairs or renovations beyond the Association’s reserves. Not only is bringing a claim against the Association’s property insurance often a viable option to help defer the cost of major building envelope repairs, but bringing such a claim may be required by the Association’s governing documents. This session will make attendees aware of how older insurance policies may help cover the cost of building envelope repairs in certain circumstances; will help attendees recognize when an insurance claim should be considered; will help guide attendees through the insurance claim process; and will discuss recent, rapidly changing case law that strongly favors Associations. [2B] Schizophrenics, Tap-Dancers, & Short Term Renters, Oh My! Welcome to your (problematic) neighborhood! This presentation will cover the variety of problematic occupancies that association boards, unit owners, and managers continue to contend with in condominium and homeowners association communities. We continue to deal with the “tap-dancing” neighbors above us, the cigarette and/or marijuana smoking neighbors below us, the short term renters (think AirBnB) next door, the schizophrenics and the hoarders, the rude users of common area space, the hyper-technical rule followers, and the investor-owned renters down the hall who are requesting a hardship exception to the existing rental cap. We will discuss the interpersonal and legal tools to help you understand and, hopefully, resolve all of these issues. Many declarations provide the association (through its Board) with substantial powers to adopt rules about pets, signs, architectural control, use of common areas, fines, and any number of other areas related to the community. Often associations fail to adopt rules, or adopted rules, to affect changes which they are not authorized to do. Suitable for all types of communities. ACC regulations on fences, colors, landscaping, etc. Rules about signs, holiday decorations, etc. Procedures for due process at violation hearings. Pet rules regulating number, size, behavior, etc. Obligations to register residents, pets, cars, etc. that reside in the home. Rules prohibiting certain kinds of businesses. Fees for change of occupancy, review of records, etc. Why do some board members act the way they do from time to time? What do you do when the board meeting gets hot? Why are we meeting if we can’t even make a decision? How do we deal with difficult board members that have colorful personalities? You’ve probably had one if not all of these thoughts. Regardless of how you feel about board meetings, they are crucial to the governance of your community association. If board meetings are not run effectively, chances are your association won’t function well either. This interactive session will include a Mock Board Meeting touching on the basic roles, duties and responsibilities of the board, as well as some tips and best practices for board members and managers on how to run a meeting. Come and learn about the different personalities of board members (such as The Dictator, The Narcissist, and The Martyr), as well as how to diffuse hot situations and effectively run a board meeting. Michael D. Brandt is a former Director on WSCAI’s Board and a former Co-Chair of WSCAI’s Legislative Action Committee (LAC), where he continues his work on WSCAI’s behalf. He has been an active member of the LAC for the last ten years, where he has worked on the WUCIOA legislation, reserve study legislation, manager licensing exemption legislation, and testified to the State Senate about solar energy legislation, among other things. Michael is the principal of Brandt Law Group, a Seattle law firm that provides legal services to condominium and homeowner associations, their officers, directors, and members, as well as to the owners of single-family residential properties and commercial properties. Michael has been practicing real estate law for 27 years in Seattle and lives in Snoqualmie, Washington, where he is a member of the Snoqualmie Ridge HOA. 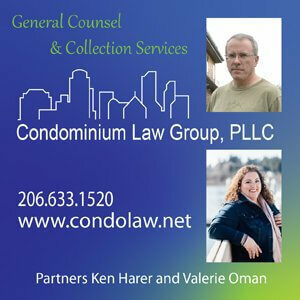 Ken Harer, CCAL, is Condo Law’s managing partner. He’s an experienced attorney and has been working with community associations for more than 20 years. 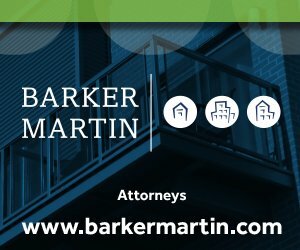 He offers legal assistance with contracts, construction disputes, and warranties related to the Washington Condominium Act and general legal advice on interpretation, enforcement, and modification of governing documents. Ken formerly held a Reserve Specialist (RS) designation and spends the majority of his time overseeing Condominium Law Group. In fall 2010, Ken was inducted into the College of Community Association Lawyers and now holds the CCAL designation. Ken served on a non-profit Board of Directors for more than 18 years. 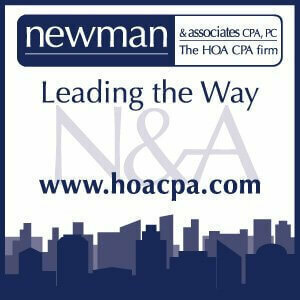 His practice, formed in 2000, provides assistance on all types of legal matters for condominium and homeowners associations. Ken (also known as the attorney with all those initials after his name!) earned his Juris Doctor and LLM degrees from the University of Washington, as well as a MBA, a BFA in Industrial Design, and a BA in Architecture. An active WSCAI volunteer, Ken is a frequent speaker at industry events and homeowner association seminars, and contributes regularly to industry periodicals. Since 2008, his focus has been providing general legal advice to community associations. A Puget Sound area native, Marlyn Hawkins’s practice ranges from construction defect litigation, to pre-litigation workouts to representing communities as general counsel. Marlyn began her legal career as a King County Deputy Prosecuting Attorney in the criminal division, moving to civil litigation in 2000, and has represented community associations almost exclusively since 2002. With extensive jury trial, bench trial and appellate experience, Marlyn’s general counsel practice focuses on ensuring that our clients avoid issues that lead to court scrutiny. Out of the office, Marlyn enjoys traveling, going to concerts, dancing and trying to keep up with her kids. Throughout his legal career, Dean Martin’s practice has focused on construction defect litigation. In 1993, Dean started devoting substantially all of his practice to condominium and multi-family residential defect cases. That practice has included successfully prosecuting claims directly against developers, general contractors, subcontractors, architects, engineers and their respective insurance companies. Dean has always assisted his construction defect clients with their day to day general counsel issues. In recent years, this area of his practice has expanded greatly. Outside the office, Dean is an avid fly fisher and golfer and is the proud father of two. 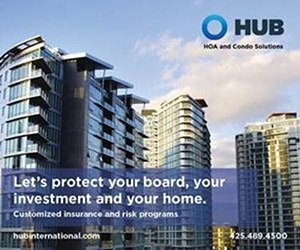 Brett Nebeker is a Partner at Rice Insurance where he heads up the Condo/HOA Practice Group. Rice Insurance has made the Inc 5000 Fastest Growing Privately Held Companies over the last two years. Anthony “Tony” Rafel, Esq, serves as Vice President of WSCAI’s Board of Directors and a former Co-Chair of WSCAI’s Business Partners Committee. Tony has been practicing law in Seattle for 35 years, with a focus on community association law for the last 25 years. 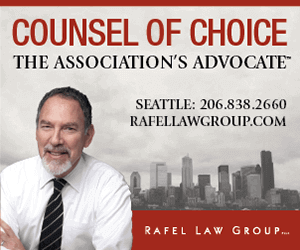 He is the Managing Partner of Rafel Law Group PLLC, with offices in Seattle and Portland, and practices actively in both states, handling construction and product defect, insurance coverage, covenant and rule enforcement, boundary and nuisance cases, among many others. Tony also serves as a trusted advisor to boards, helping them to solve problems, resolve disputes and practice good governance. Tony has been peer-selected as a Washington Law & Politics SuperLawyer™ every year since 2003 and holds the top peer-review rating for legal skill and ethical standards from Martindale-Hubbell. He is a past president of the Federal Bar Association of the Western District of Washington and lawyer representative to the Ninth Circuit Judicial Conference. Tony lives in Seattle with his wife, Megan, and their aging but still yummy Labrador retriever, Joey. Daniel Stein, Esq., is a litigation associate specializing in insurance coverage and construction defect issues. 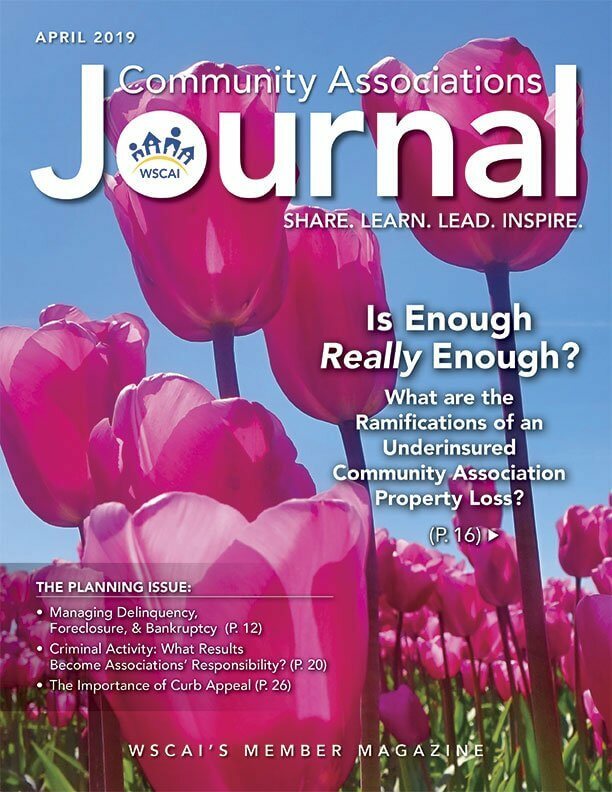 He is also a contributor to the WSCAI’s Community Association Journal. Daniel earned his Bachelor of Arts at UCLA and his Juris Doctorate at USC Gould School of Law where he was a member of the Interdisciplinary Law Journal. Prior to joining Stein, Sudweeks & Houser, Daniel worked on complex class action lawsuits.